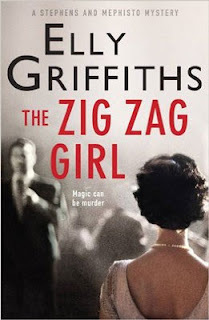 In this first in a new series from Elly Griffiths, the setting is Brighton shortly after the war, and starts with the discovery of a murdered girl, cut up into three parts as it she had been in a magician’s trick cabinet and the trick had gone wrong. The detective investigating the case, DI Edgar Stephens, should know because he was once recruited to join a group of magicians in a special unit known as the Magic Men, during the war. The Magic Men were set the task of using their knowledge of trickery to try to deceive the enemy. While the unit didn’t last long, Edgar had made a few magician friends, and he knew he could contact one of them, Max, to find out his thoughts on the murdered girl. And fortunately, Max was working in a theatre not too far away. The plot thickens when the murdered girl is finally identified, and it turns out that she had links with the magicians in the Magic Men. Slowly, more murders follow, each somehow linked to or involving other members of the group. Is the murderer specifically targeting former members of the group, and if so, why? This is a gentle, entertaining read, with a lovely flavour of post-war Britain, the age of gentleman but with hints of the first few changes to come as old ways gradually fall away. Edgar is the perfect gentleman Detective Inspector, and Max Mephisto is a clever, sophisticated and good looking magician, still clinging to his life as a performing magician in the theatre, despite the signs that shows of this sort are slowly declining in popularity. And, there is the intriguing character of Ruby, who applies to be Max’s assistant, but really wants to be a magician. Who is she, what is her connection to events, and why does she apparently disappear into thin air. Slowly all is revealed in this wonderful mixture of magic, and detection rolled into one. All my doubts whether I would want to spend some time aboard a nuclear submarine two-hundred metres below the ocean’s surface are gone now: the closeness of the boat company’s members (the ‘Old Man’ in charge booms that ‘crews’ are on ships); the ‘constant monotonous routine of sleep-wake-eat-work-eat-sleep’; cramped living and working conditions; no privacy; stale air pumped around the confined space; unexciting food; hierarchy and discipline; an atmosphere of camaraderie and very strict unchangeable rules; the ‘us and them’ division; artificial light; a place where disobedience is punished and brothers-in-arms bonds are indestructible; claustrophobia. All the facts and characteristics of the place where you ‘dream about coffins’ before you descend into the belly of submarine HMS Tenacity, where Lieutenant Danielle Lewis, Dan for short, the best investigator in the Navy, embarks on a tough assignment. Dan, recently re-assigned to the Special Investigation Branch’s KILL team, is shocked by the hostility she encounters during her investigation into the suicide of Stewart Walker who died on board of the submarine where he was serving. His wife Cheryl was brutally murdered just a day before his death and Dan also unofficially probes into the circumstances and possible connections between these two events. No one wants to believe that foul play contributed to Walker’s suicide but the Royal Navy, albeit reluctantly, follow the protocol. Dan’s previous investigation hailed as both a spectacular success and a failure had caused irreparable psychological, physical and reputational damage. 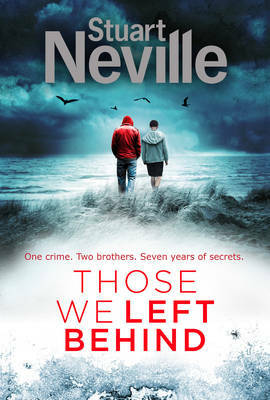 It’s told through flashback memories and then more tangible experiences as a new violent assault brings back painful recollections of a vicious attack connected to the investigation. Dan, a lone wolf in her determination to see justice done, paranoid and anxious, trusts no one. Regardless of consequences, she ploughs through piles of paperwork, continues to interview reluctant and antagonistic submariners and intimidating officers, and refuses to give up and conform. To find answers she leaves no stones, or in this case heavy secret containers, unturned nor unlocked. 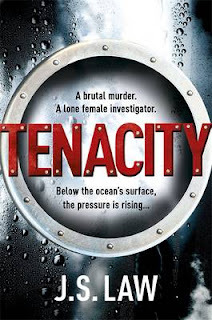 Gripping from the very beginning TENACITY is an uncompromising portrayal of working in the Navy, both on land and underwater, and the tensions that this kind of close relationship brings. It delivers a new take on solving crime in a formal yet aggressive environment and on being a woman in a tough place where everybody wants to undermine her professionalism. J S Law’s powerful writing style creates a perfect setting for the thriller where flawed yet strong heroine Lieutenant Dan Lewis fights for justice. 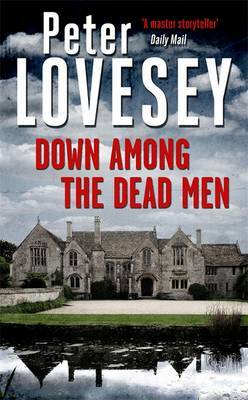 This first instalment of a new crime series from debut author J S Law is absolutely brilliant. 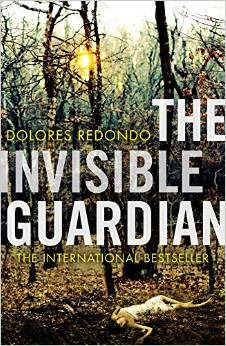 Cleverly constructed, dramatic and tense it leaves you feeling shocked yet wanting more. I can't wait for the second book. Henry VIII of England is coming to the end of his life, struggling with his weight and health and trying to leave a country that is secure for his only son and heir, eight-year-old Edward. It is a time of religious tension with many factions from reformers to traditionalists vying for his support and attention and also the chance to control the government under young Edward in due course. Henry's sixth wife, Catherine Parr has written a book - Lamentations of a Sinner - concerning her personal thoughts about faith, which, she believes, is more involved with the study of the Bible rather than the ceremony of the Church. This belief was highly controversial and on advice from Archbishop Cranmer, she decides that the book must be destroyed as her thoughts could be construed as treason - especially by the King. 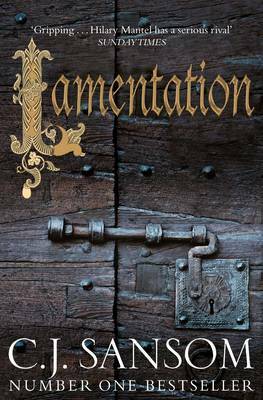 However the book has disappeared and she turns to her old protegy, Matthew Shardlake, now Serjeant at the Court of Common Pleas, in the urgent and dangerous - but very secret mission - to find the book and return it to her. As Shardlake follows the meagre clues, with his trusted colleague Jack Barak. they are taken into the hidden world of people whose thoughts are so radical that, if found, they would be burnt at the stake for heresy. He also has to tread the dangerous path of palace politics, a world he thought he had left far behind. The politics of religion and religious freedom made living in the time of Henry VIII very frightening for both noble and commoner with the structures of faith and worship seeming to change almost daily. The author obviously knows the history of this time inside and out and is able to portray the excitement, the politics, the danger and the confusion of it very vividly. LAMENTATION is a must for readers of quality historical fiction. This is the third in the Kizska and Kershaw series, set in London's Polish community, that began in 2013 with WHERE THE DEVIL CAN'T GO. As the book opens, we have moved on more than a year since the events at the end of book two, DEATH CAN'T TAKE A JOKE. Then Kasia fails to turn up. Kiszka visits her home to find that both Kasia and Steve have vanished, leaving one-way tickets to Alicante behind in their flat. He begins tracking them down, starting with Steve's dodgy acquaintances in the local pub. Soon Steve's friends begin dying in mysterious circumstances. As the dead Cockneys begin to pile up, Kiszka realises he needs to call in the police (even though the thought of officialdom makes him feel queasy). Meanwhile Natalie Kershaw, now a firearms officer in the Met, has been cleared of any wrong-doing after fatally shooting a samurai-sword-wielding maniac outside a McDonald's in Leytonstone. But she still has to endure psychological evaluations before being allowed back on active duty. Has the stab-wound she endured in the last book made her trigger-happy? Kershaw jumps at the chance to use her rusty detective skills to help out her old ally Kiszka. 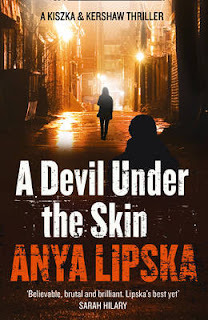 The hunt leads them from small-time crooks to big-time gangsters, and the investigation turns official, with Kiszka alternately working with Kershaw and hiding his own discoveries from her. Kiszka has some tough choices to make as he gets closer to Steve and Kasia. 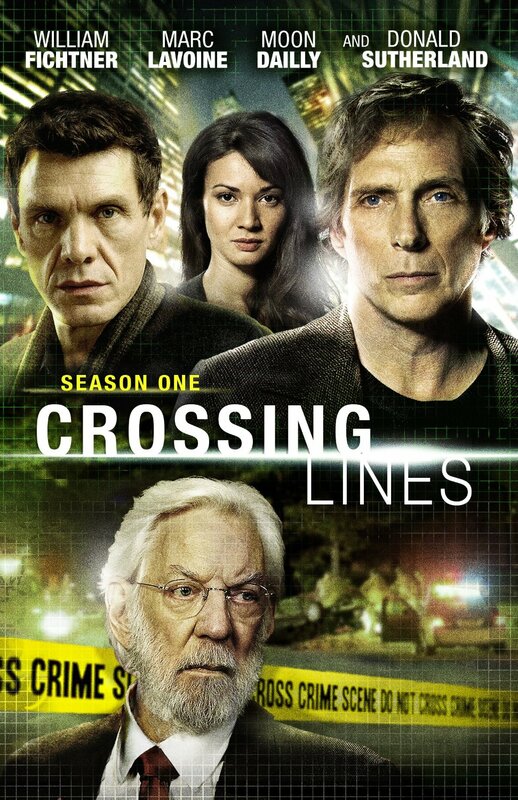 An interesting subplot concerns Stefan Kasparek, an elderly hacker with some much-needed IT skills. Who knew that it was Polish codebreakers who first cracked the Enigma code? A gritty story heightened by its depiction of the Polish community and some good jokes (as usual, Janusz's clownish friend Oskar provides laughs and loyal support to his old army friend). As with most series, it probably pays to begin with the first book before it's too late, but this works fine as a standalone story. The inclusion of a little glossary and pronunciation guide at the back is much appreciated. This book, which calls itself "the Definitive Guide to Scottish Crime Fiction", is simply wonderful. A beautiful, well-written assessment of what Tartan Noir actually is and how it came to be given that name. All too frequently Crime Fiction is described as not being 'proper' literature, that it is formulaic, simplistic and not worthy for consideration of things such as the Booker Prize. In complete contrast, therefore, what a delight to read an intellectual assessment of crime fiction that gives it, according to William McIlvanney, "deeper significance than is normally accorded". 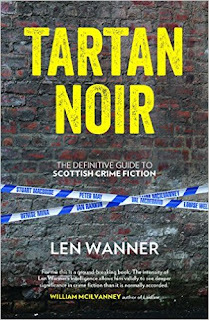 TARTAN NOIR is divided into four chapters – each of which consider a different sub-genre of Scottish crime fiction; detective novels, police novels, serial killer novels and Noir novels. Each of these chapters thoroughly analyses its topic and includes an absorbing examination of ten different novels that fit within its remit. Throughout his writing, Wanner invites us to engage with what we are reading and to think about things for ourselves – which is one of the many excellent aspects of this highly-polished work that I love. 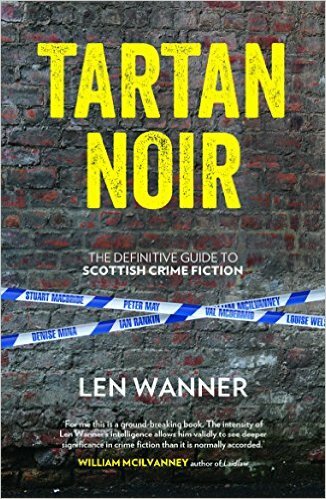 TARTAN NOIR is so full of information that it must have been no small undertaking to produce and deserves to be widely known and read. At the end of the book you know exactly why Ian Rankin has become known as the King of Tartan Noir and why this isn't necessarily the truth. You will also have a very clear idea, maybe for the first time, of the distinctions between Tartan Noir and Scottish Noir, along with a whole heap of ideas of new books to read! I loved every single page of this book and wholeheartedly recommend it to you. Don't skip bits! Read the whole thing! My favourite chapter was the final one. 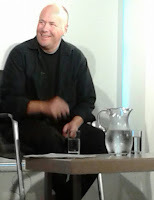 I was delighted to see an extended discussion of Allan Guthrie's "Slammer" – my all-time favourite book – and to finally have a name to put to the genre that I like best; Scottish Noir. TARTAN NOIR is a must-read for every fan of Scottish Crime Fiction. You will love it! Now Cordon is finished (I have the last 3 episodes to watch), its Saturday night slot - 9pm on BBC Four - will be taken by a repeat of series one of The Young Montalbano. BTW, you can buy this t-shirt from the MHz Network store. Book-wise we're being spoilt this year with the release of Game of Mirrors which came out in May, with the paperback out in August together with the hardback release of Blade of Light (US: A Beam of Light in September). Both translated by Stephen Sartarelli. 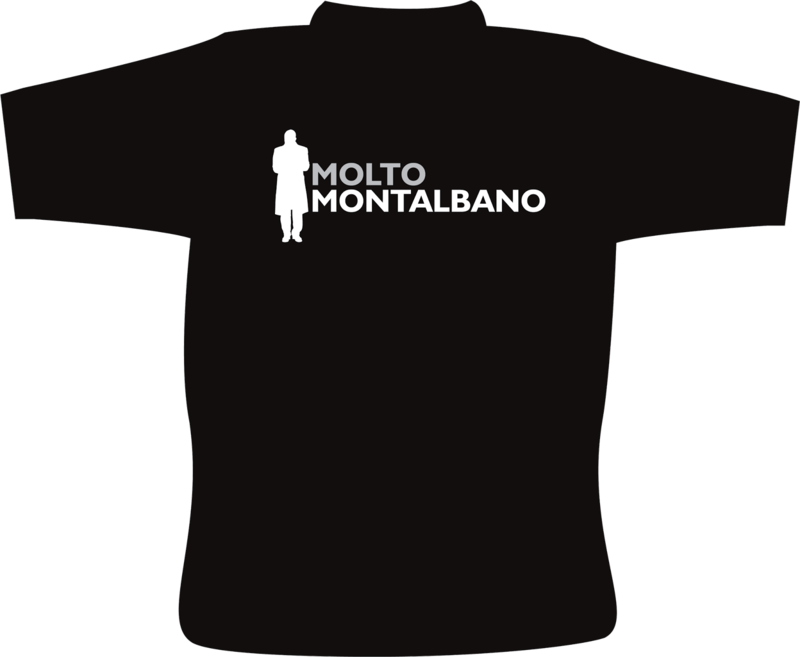 In February 2016, a collection of short stories will be released also, I believe, translated by Stephen Sartarelli: Montalbano's First Case and Other Stories. Montalbano's First Case is already available as an ebook from Mondadori (2013) translated by Gianluca Rizzo and Dominic Siracusa. This brilliant collection of short stories, personally chosen by Andera Camilleri, follow Inspector Montalbano from his very first case in Vigata, in which he stumbles upon a young girl lurking outside a courthouse with a pistol in her handbag. When she is taken in for questioning and won't utter a single word, Montalbano must find another way to learn who this mystery girl is trying to kill, and why . . .
With twists and turns aplenty, these stories have all the the wit, mystery and culinary gusto that Camilleri's fans have come to love him for. 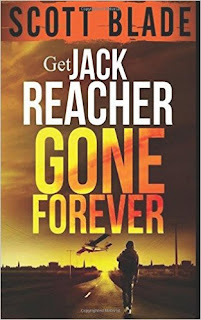 Can't get enough of Reacher? "I am the only Reacher--as far as I know." - Jack Reacher. With special permission from #1 International Bestseller, Lee Child. So far, with a global embargo in place, very few details of the much-anticipated return of Lisbeth Salander have been revealed. Now MacLehose Press is releasing key details of the plot to whet the appetite of the 15 million readers in the U.K. who bought the trilogy. dedicated to exposing corruption and abuse. They have not been in touch for some time. Then Blomkvist is contacted by renowned Swedish scientist Professor Balder. Warned that his life is in danger, but more concerned for his son’s well-being, Balder wants Millennium to publish his story – and it is a terrifying one. Säpo, Sweden’s security police, have offered him protection, but what Balder hopes for is to preserve his life’s work ‒ by going public. More interesting to Blomkvist than Balder’s world-leading advances in Artificial Intelligence, is news that the professor had been working with a superhacker, a girl with a dragon tattoo. Salander is busy with an agenda of her own. Using her old codename Wasp, she has been trying to hack into the American National Security Agency - a lunacy driven by vengeance, and fraught with every possible consequence. Like Balder, she is a target of ruthless cyber gangsters who call themselves the Spiders. The violent unscrupulousness of this criminal conspiracy will very soon bring terror to the snowbound streets of Stockholm, to the Millennium team ‒ and to Blomkvist and Salander themselves. The adrenaline-charged, brilliantly intricate and utterly absorbing narrative of The Girl in the Spider’s Web is inspired by Stieg Larsson’s Millennium trilogy. The duo who thrilled millions of readers across the world are back. 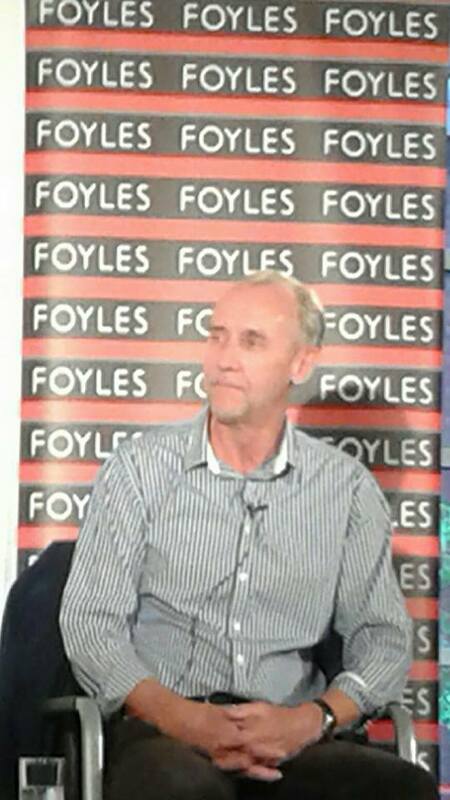 Last night at Foyles we were lucky to have Barry Forshaw interviewing Arnaldur Indridason and Hakan Nesser. Here's a brief report based on my handwritten notes. BF asks AI, what gender is Marion Briem? AI: No idea. If I knew I wouldn't tell you! Difficult to write a genderless character and causes difficulty in French and German - translators must want to kill him. You are not supposed to know. Comes from a time when people were counting how many male characters, how many female characters in a book. Decided to have one you couldn't count. BF asks HN where is the city of Mardam (where the Van Veeteren series is set). HN: it is a fictitious country. It was intended to be a series. He didn't want to write about Stockholm as everyone did, so made the place up. HN came to Foyles in 1966 but couldn't afford to buy anything then. But later, through a relationship with an employee, was given a book from Foyles - Lady Chatterley's Lover (hint?). His girlfriend was not paid well so would liberate a couple of books a week. HN was going to return the book but it has been "stolen" again, from his bookcase. AI wouldn't be tempted to live in the UK. HN lived in London for 4 years and also lived in Winsford (see his latest book: The Living and the Dead in Winsford) for six months. A small cottage and rain for six months, it would be hard not to write a book in that time. AI: Erlendur is 33 in Oblivion (his latest book in English, a prequel to the existing 11 book older Erlendur series), he hadn't intended to write prequels when he wrote the first Erlendur books. HN: read Anne Holt's first book starring Hanne Wilhelmsen - a lesbian detective who rides a pink Harley-Davidson - couldn't top that so went with traditional detective. HN feels his work is mostly done in terms of books published and now the translations need to catch up. HN: Can't avoid the influence of Sjowall and Wahloo but you do need your historical glasses on when you read them. AI: likes to include social realism like in the S & W's Martin Beck books. Ed McBain 87th Precinct books are slow - there's a murder but they carry on, could be bus drivers - still fascinating though. HN: think we like reading Nordic Noir so we can see Sweden going the drain [compared to the perceived model society of before]. Quote: if you're not a socialist at 25 then you have no heart; if you are a socialist at 50 then you have no brain. HN: readers from Germany and Sweden now go to visit Winsford. Pleased with the Van Veeteren tv series especially the first three which were 180 minutes long. The later ones were only 90. AI: very happy with film, Jar City. AI has no idea where title Jar City came from. (was renamed Tainted Blood in pb edition). Discussion about titles: much more important than you think eg HN had a book, working title Herman Goring, and had just 24 hours to come up with the finished title before it went to press. Couldn't sleep, finally came up with a title: the swallow, the cat, the rose and death, based on the rhythm of an Edgar Allan Poe poem. Also, UK title Hour of the Wolf, in Swedish is Carambole, a type of pool (table) game which was very appropriate. In response to a question from Sarah Ward re the length of a series, AI said Sjowall & Wahloo made the rule of ten which is a good number though of course it can be broken eg McBain, who they also translated. Swedish readers like the Winsford book - which is a recent book in Swedish too. AI said that he wouldn't move Erlendur outside of Iceland - he can't imagine him on a plane. HN writes in chronological order ie chapter 1, 2 etc. Neither author reads much crime. The first Icelandic thriller (?) was Desmond Bagley's Running Blind. Do also see the tweets from Mrs Peabody. 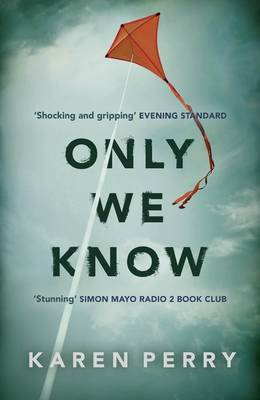 Not content with being the Euro Crime favourite read of 2014, Sarah Hilary has also won the (Harrogate) Theakstons Crime Novel of the Year 2015 for Someone Else's Skin. Read more at BBC News. Julia is a photographer, married to Hugh, a hospital consultant, and with a teenage son Connor. But Connor is actually her nephew, the son of her sister Kate, who had Connor when just 16, father unknown. When Kate couldn’t cope as a single mother, she asked Julia to look after Connor and what started as a temporary arrangement turned into a permanent adoption. But, the shocking news at the start of the story is that Kate, now living in Paris with a friend called Anna, has been murdered. The police seem to be unable to find out who did it or why. Julia starts to become obsessed with finding out what she can, as a way of coming to terms with Anna’s death. She was particularly close to her younger sister, caring for her and helping to bring her up when their mother died. Anna gives Julia a box of Kate’s belongings and she finds the username and password to an online dating website, where she suspects that Kate met her murderer. Going behind her husband’s back, and not telling any of her friends, except Anna, she invents her own profile in the hope that whoever met (and possibly murdered) Kate, will gravitate to Julia. Possibly part of the motivation behind Julia’s actions is that she is somewhat bored with her safe, middle class life, and is shocked out of her secure existence by the murder of her sister. Before she married Hugh, she had a rather wild existence, culminating in a move to Berlin just after the wall came down with her boyfriend Marcus, staying in squats and taking drugs. Something happened in Berlin that led to her precipitate departure, and subsequent marriage to Hugh, who somehow saved her. Perhaps she now wants subconsciously to overturn her quiet life and go back into something more exciting and potentially dangerous. Small steps lead to larger and larger ones, until Julia is in too deep. The secret life she has built for herself, using the excuse that she is trying to find out what happened to Kate, slowly turns on her until she is trapped, with no way out. Someone is exploiting Julia’s obsession to find out what happened to her sister, but why? As with his first novel, BEFORE I GO TO SLEEP, SJ Watson again manages to draw a picture of a slowly building obsession, with a gradual racking up of the tension until the final dramatic ending. Perhaps a normal, sensible person might go online to try to find Kate’s boyfriends, but perhaps they might not take the next, more dangerous step, of meeting the possible murderer. Or go even further, as Julia does in this book. So, there has to be at least some suspension of disbelief, as the story progresses. But, Julia is not a sensible person. She is deranged by grief, and susceptible to manipulation and deceit. SECOND LIFE is a tense book, and just as good as Watson's first one. Hodder & Stoughton is delighted to announce the acquisition of four novels by Katarzyna Bonda, who has been described as the queen of Polish crime writing. She is currently the biggest-selling female author in Poland, acclaimed by readers and reviewers alike. The books were acquired by Nick Sayers from Sandra Sawicka at Marjacq Scripts. The first book Girl at Midnight has sold over 180,000 copies in Poland and the second has recently topped the bestseller list there also, selling over 50,000 copies since publication in April. Hodder plans to begin publishing in early 2017. Here are nine reviews which have been added to the Euro Crime website today, five have appeared on the blog since last time, and four are completely new. You can keep up to date with Euro Crime by following the blog and/or liking the Euro Crime Facebook page. 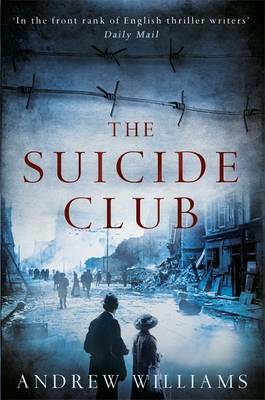 and Terry also reviews The Suicide Club by Andrew Williams, set during the First World War. 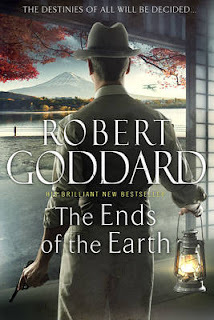 This is the final part in the author's 'The World Wide' trilogy, that started with THE WAYS OF THE WORLD and was followed by THE CORNERS OF THE GLOBE. The first part was published in 2013 and each subsequent one at yearly intervals. So unless you had the books to hand, you may have found the reviews for each book such as on the Euro Crime website invaluable to remind you what has happened so far. 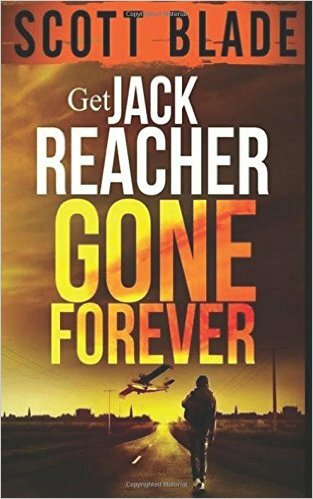 At the end of book two James 'Max' Maxted is drugged and about to be killed, with the murder being made to look like suicide. Book three opens with Max's faithful friend Sam Twentyman, along with the Americans, Schools Morahan and Malory Hollander, waiting for Sam to join them in Japan. Schools has enlisted a team of five men from the USA to help them to free Jack Farngold, who is a prisoner of the evil Count Tomura. Max had believed that Farngold held the key to why Max's father Henry was murdered. Soon Sam learns that Max is dead from Pierre Dombreux who works for the German spy-master Felix Lemmer. Dombreux is a French traitor who spied for the Germans and Russians. His estranged wife Corrine was Henry Maxted’s mistress and someone that Max had admired. Although devastated by the news, Schools, Sam and Mallory agree that they should carry out the original plan to rescue Farngold. Everything that can go wrong does, they are betrayed and Schools and two of the men fall into the hands of the Japanese secret police. Sam and Mallory separately are on the run from arrest. The author is a master storyteller and just when you feel that the situation can be resolved for the better, it gets worse! 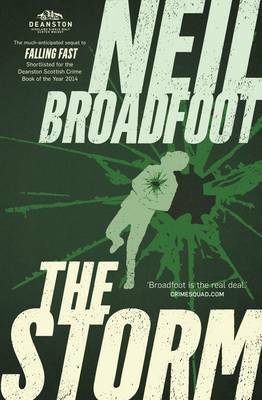 There are plenty of twists and turns in this excellent adventure thriller. Although the book comes to a conclusion, there are a few hints that we may hear again from some of these characters. Remember everything is not always as it seems, what secret awaits at the eerie castle in the mountains? I enjoyed this book just as much as the previous two. I also thought that despite waiting three years for the conclusion that the series worked and worked well. I thoroughly recommend this book and look forward to the next one from the master. I'm very pleased to be included in the Blog Tour for Sarah Ward's debut, IN BITTER CHILL. Regular readers will know that I've known Sarah for a few years and we are part of the Petrona Award team and it has been fascinating to follow Sarah's journey from unpublished to published writer, an arc which culminated in last week's launch on the hottest day of the year. 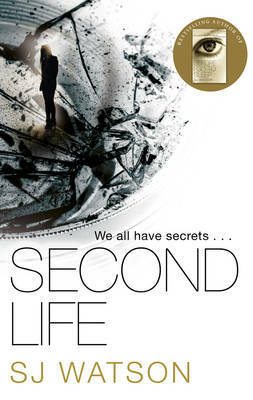 I don't feel my review does this excellent and atmospheric book justice but I do urge you to grab a copy for yourself. You won't be disappointed. 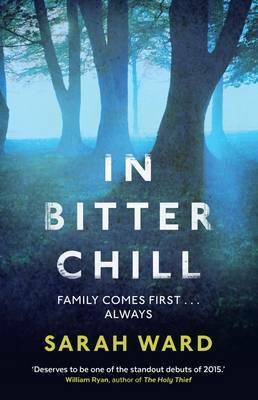 IN BITTER CHILL is Sarah Ward's debut novel, set in the fictional Derbyshire town of Bampton. In January 1978, two eight-year-old girls are kidnapped on their way to school. One of the girls, Rachel, survives but her friend Sophie is never found. In the present day, Sophie's mother commits suicide on the anniversary of her daughter's disappearance. Her actions precipitate a reinvestigation into the original case: a young constable at the time is now the Superintendent and he gives DI Francis Sadler's team permission to investigate until a more urgent case turns up. Sadler's team includes fellow local, DC Connie Childs and incomer, DS Damien Palmer who is about to get married – in the very same hotel in which Sophie's mum committed suicide. The reinvestigation of the kidnapping must needs begin with interviewing Rachel again. Rachel who has little to no memories of what happened to her. The modern investigation is interspersed with short chapters from Rachel's 1978's experience as well as longer chapters about her current life, her job as a genealogist and her new attempts to find out what happened to her all those years ago. I absolutely loved IN BITTER CHILL. Within a few pages I felt comfortable and knew I was in for a five star read. I particularly like this kind of countryside noir where you get a strong sense of place and also get to know many of its inhabitants - such as you also get with Martin Edwards' Lake District mysteries or Aline Templeton's 'Big Marge' Galloway series – and was unable to put it down. I'm very pleased to hear that the police characters will return in a second book, out next year. Sarah Ward gives you enough information to make you like them and be interested in them whilst leaving plenty of mystery to their back stories, especially the lead police officer DI Francis Sadler. With my library hat on, I noted the absence of graphic violence and bad language so I know from experience that IN BITTER CHILL will go down well at my library! The previous stop on the Tour was at Novel Heights and the next stop on the Tour, is at Orenda Books. More details about the award and the history behind it can be found on the Petrona Award website. The winner of the 2015 Award was Yrsa Sigurdardottir for The Silence of the Sea tr. Victoria Cribb. Links are to reviews by the Euro Crime team; gender, country and publisher details are also included. *This list will be updated as and when additional titles are identified. It is July/August 1917 and the First World War has been dragging on in France for three years and is at something of a stalemate. Sir Maurice Cummings or "C" as he is known as the head of the new Secret Intelligence Service summon Captain Alexander Innes fresh from undercover work in Belgium. Captain Innes is a Scot with a gift for languages (he speaks five) and "C" wants him to be attached to Field Marshal Haig's headquarters in France to join an espionage unit known as "The Suicide Club"; his real mission however is to spy on Haig's intelligence chiefs who are suspected of passing incomplete information. "C" particularly suspects a Brigadier Charteris and wants to discover if he is responsible for compromising the Army's network in the occupied territories where agents are being killed. Innes has his work cut out at GHQ, as he finds he must do daily mind games with other officers of similar rank in order to prove that the work of the Secret Intelligence Service is better than the bad intelligence supplied by the Army to Haig. There is an undercover intelligence source known as "Faust" that Haig seems to put a lot of faith in but Innes believes that hundreds of thousands of British soldiers lives may be lost because of this mistaken belief. Because of the political infighting between Government and GHQ, Innes decides to go behind enemy lines and search out Faust and discover the truth. THE SUICIDE CLUB is a novel based on real events and draws on the diary and correspondence of Douglas Haig and the diaries and memoirs of the War Cabinet secretary Sir Maurice Hankey. Andrew Williams worked as a senior producer for the BBC flagship Panorama and Newsnight programmes and as a writer and director of history documentaries. 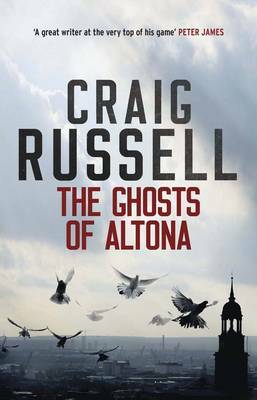 I have read previously for review his earlier books TO KILL A TSAR (shortlisted for the Ellis Peters Award and the Walter Scott Prize) and THE POISON TIDE. As with those I really enjoyed this latest, fast-paced, historical thriller and was very impressed with the huge amount of research the author undertook to give a true and fascinating picture of life at that remarkable time. I look forward to reading more books by this gifted author. Strongly recommended. Crossing Lines, starring William Fichtner and Donald Sutherland starts on Alibi next Tuesday at 9pm. The series has recently been renewed for a third season. As it's a European co-production I gather it is already available on eg German DVD with the option of English audio. Plot (from Wikipedia): Former New York Police Department officer Carl Hickman's life has fallen apart after he was injured on the job; he has become addicted to morphine and works as a garbage collector at a carnival in the Netherlands. He is recruited to join the International Criminal Court's special crime unit (a fictional unit). Based in The Hague, it investigates a variety of crimes that cross international boundaries. The unit includes an anti-organized crime covert specialist from Italy, a technical specialist from Germany, a crimes analyst from France, and a weapons specialist and tactical expert from Northern Ireland. Jakob Arjouni - Happy Birthday, Turk! Sheila Radley - Who Saw Him Die? Also announced last night were the shortlists (whittled down from these longlists) for the CWA's 2015 Gold, Creasey and Steel Awards. Last night the winner of the 2015 International Dagger was announced. It is Camille by Pierre Lemaitre (tr Frank Wynne). The winner of the Dagger in the Library is Christopher Fowler. The winner of the Historical Dagger is The Seeker by S G Maclean.